Exquisite home loaded with upgrades. Dramatic 2 story foyer. Brazilian cherry floors, custom carpeting, coffered ceiling in living room chair rail, and crown molding. Gourmet kitchen with ganite, center island, built in oven, stainless steel appliances and new cook top. Stone fireplace in 2 story family room. Home office on main level. 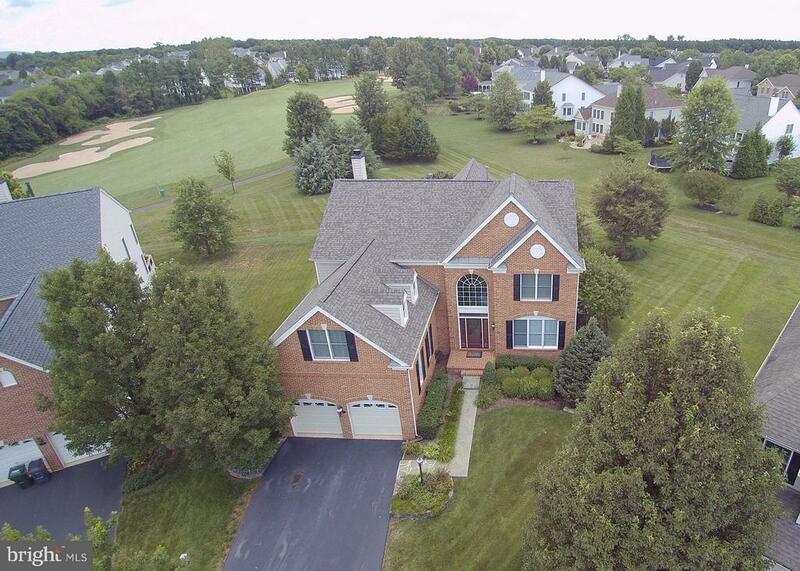 2nd story offers overlook of FR, 4 generous sized bedrooms along with new master bath. 2nd bedroom with private full bath. Expansive lower level fully finished walk out basement, full bathroom, and must see entertaining bar with 2 TV;s oven, frig and dishwasher! Enjoy the view of mountains and golf course from the Trex deck. Quite cul de sac. Newer roof. Gated community with Resort style amenities include award winning Arnold Palmer golf course, indoor/outdoor pools, Sports Pavilion with indoor basketball court, multiple fitness centers, playgrounds, and trails! Directions: I66W to Exit 40; Right on James Madison Hwy (Rt. 15); Left on Dominion Valley Drive; Left on Tournament (give guard bus. card); Right on Jupiter to right on Annenberg to house on right at cul-de-sac.